Over the last few months there has been a lot happening at Little Roseveth. 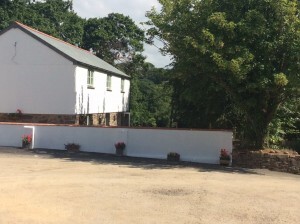 We have had the builders here and they have been converting our three derelict barns into Holiday Cottages. The first of which has just been finished and is ready to let from this weekend (picture below). This cottage has two bedrooms and is called Rose cottage, the second will also be two bedrooms and the final one will be a one bedroom cottage. We haven’t decided on the names of these two yet but we will have names for them by the time they are finished. Which we hope will be in the coming months. In the mean time if you fancy a self catering holiday in Cornwall then please visit.